Wondering how to make YouTube Thumbnails? When you’re creating content and uploading videos to YouTube, the thumbnail might not seem like an important part of the video. You might be thinking – as long as the content is good, the thumbnail doesn’t really matter. 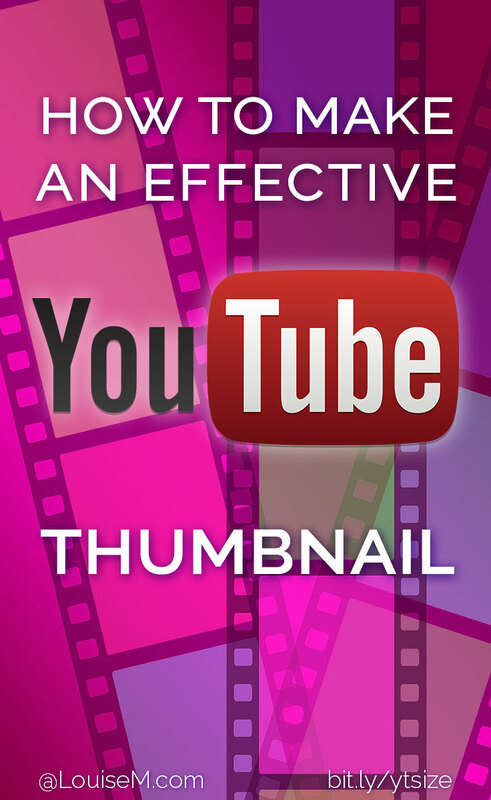 A video thumbnail is the first thing that viewers see when browsing through YouTube. It is typically their first impression of your video, and essentially decides whether or not they’ll click through. 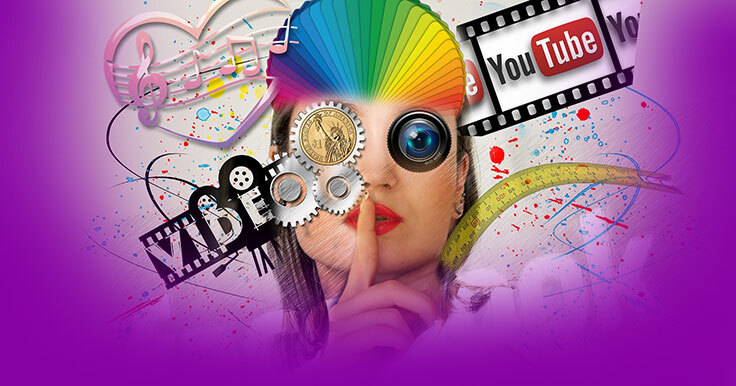 Designing a professional YouTube thumbnail not only helps improve your channel’s brand, but it also attracts visitors and more eyes to your content. So how do you design effective YouTube thumbnails? Here are 6 key tips to get started. If you’re going to spend the time creating a professional looking thumbnail, you need to make sure you’re using the proper sizing and dimensions. As per YouTube’s guidelines, your thumbnail image should be 1280 x 720 pixels with a minimum width of 640 pixels. A ratio of 16:9 is ideal as it’s used most often in YouTube players and previews. Making a thumbnail image that’s too small is a big mistake. 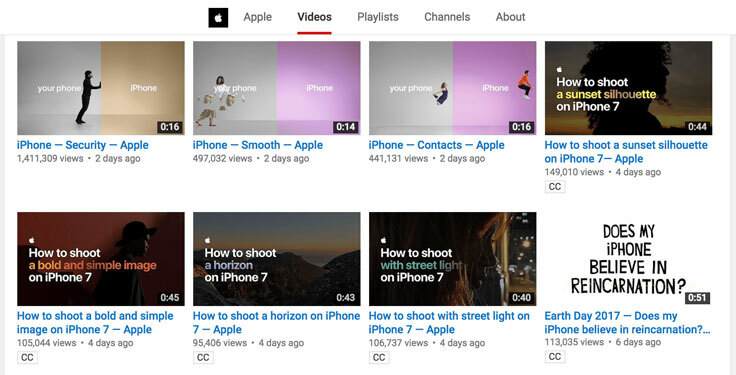 Although thumbnail images show up relatively small in the YouTube search results, don’t forget the fact that YouTube videos can also be embedded. For this reason, you want a larger image size that can be scaled down, instead of a small size that will be scaled up. Adding text headings on your video thumbnail holds many benefits, but the biggest benefit is that it gives the viewers more context into your video. There are many videos where the text headings in the thumbnail are numbered. Much like a TV show with numbered episodes and seasons, numbered YouTube thumbnails will help your viewers keep track of the content they are consuming. Brands such as Apple include text headings in their thumbnails to provide additional context that is not immediately evident. For example, one of the thumbnails above includes an image of a horizon, which alone would be pretty generic. However, by adding the text “How to shoot a horizon on iPhone 7”, it provides way more context to the thumbnail and makes readers much more willing to click on it. As we’ve just mentioned, including a title in your thumbnail is important. But if you can’t even read it, then what’s the point? That’s where contrast comes in. 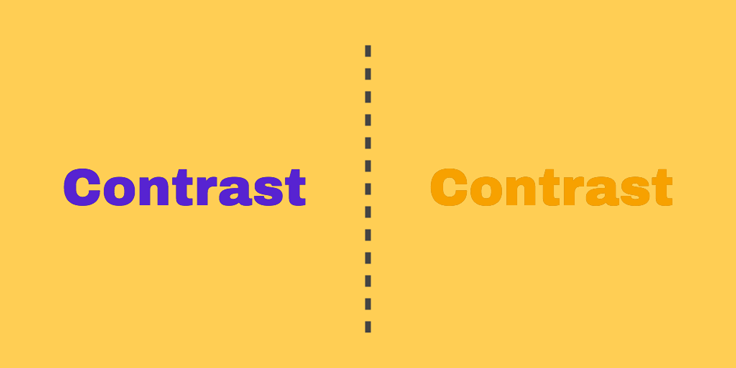 While there’s many different types of contrast, the most important one to consider is color contrast. If two colors are different to each other (say, black and white) they have high contrast, whereas if they are very similar (red and orange) then they have low contrast. When comparing the two, it’s much easier to read the word on the left compared to the word on the right. That’s because purple contrasts with yellow much more than orange does. When designing your thumbnail image, always make sure that your text contrasts nicely with your background. If necessary, you can use a tool like Adobe Color to make sure that your colors contrast effectively. It’s always important to familiarize your audience with your brand and your content. A good way to do this is to keep your thumbnails consistent with the same style fonts, memorable colors, and a strong design. To start off simple, choose a professional image from either a stock photo website or take it yourself. After you have a professional image, you can then add a text heading over the image with a font style that represents your style. If you’re not proficient in Photoshop, you can create free professional YouTube thumbnails with Snappa. A prime example of consistency within a YouTube channel is Brian Dean. Brian does a fantastic job of staying consistent with the use of colors, fonts and graphics that match his brand perfectly. You can clearly identify his work from others and you can tell that he puts a lot of time into perfecting his thumbnail. Strong visuals are essential to grab the attention of your viewers. A high-quality picture that acts as a teaser for the video will once again give context, but it is also another opportunity for your audience to familiarize themselves with you. Matt Komo is a videographer and his content on YouTube is very well done. He uses high quality images that give users a glimpse of what the next 10 minutes might be like. As a travel cinematographer, adventurous pictures are something that Matt wants to showcase to attract clicks to his video. In need of some beautiful free stock photos to use for your thumbnails? Check out this list of resources. As much as you can click bait users to viewing your videos by misleading them with thumbnails and headlines, this will hurt your brand and reputation. Not only that, but YouTube will stop showing your videos in search results if your bounce rates are too high. The thumbnail is meant to give context, so providing an image that does not depict what is in the video will harm you rather than benefit you. Find the most important point or part of your video and create your thumbnail around that. 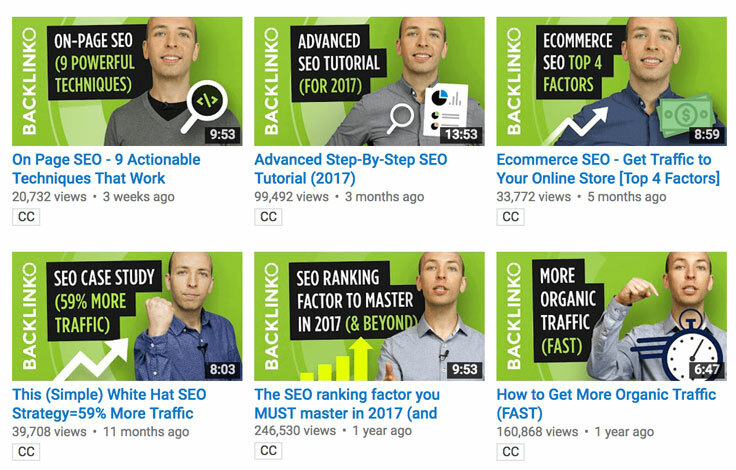 Keep your thumbnail as a teaser for your video without revealing too much. Show just enough so that users will click through and check out what you have to offer or say. The importance of video thumbnails on YouTube cannot be overstated. Not only do they make a big impact in terms of click through rates, they also play a key part in branding your channel. 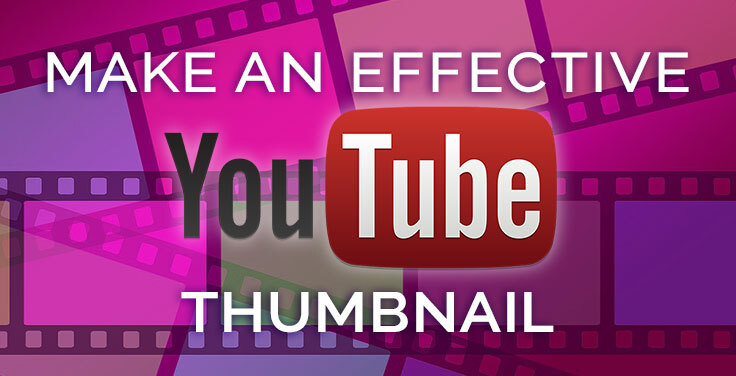 Did this post help you effectively design your YouTube thumbnails? Please share with others! Exactly, Putting a little more time can bring you more views but choosing the right platform for creating awesome & appealing thumbnail is important. I use Canva for creating my youtube thumbnails as it’s free & easy to use. Lots of choices for graphics now. Canva works well though it’s a bit complicated. Thank you Louise! This makes perfect sense. I agree with continuing branding in as many places as possible! I would love if you would consider enlightening us about Vimeo. I have chosen to use them as my video content provider and your knowledge can certainly make my brand outstanding on this site. Thanks for all you do! I don’t know a thing about Vimeo! As far as a thumbnail image, the size should be the same as YouTube – it’s a standard video size. Thank you very much for this educating information. I’m about hosting my motivational channel but I have been very nervous to start. but with this clarity about thumbnail, I think I feel more confident starting up.